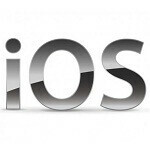 Could we see a 128GB iOS device soon? New iOS 6.1 Beta code indicates…maybe? The idea has swirled around the rumor mill for a while, but there has never been anything substantive behind the chatter. Plus, we have not seen any 128GB iPod touch, iPad, or iPhone actually materialize. So, take it all with a grain of salt. However (grain of salt time), this is not conclusive in any way, shape or form. There have been hints in the past, and as we mentioned, we have not seen any devices or specs even approaching the subject. Having written that, seeing a 128GB iOS device seems highly unlikely to us, at least as far as the iPhone is concerned. Given the premium price-point of the iPhone, based on current pricing schemes, a subsidized 128GB iPhone would cost $500 and would list full retail for about $950. We do not expect that market research would return a favorable impression to that prospect. Then again, the iPhone's pricing scheme has not hurt sales of the device at all. 128 GB on a phone is overkill. Even on a tablet 64 GB is more than enough for 95 % of users. They'll charge an extra $100 or $150 since it's double that of 64GB. Sad thing is to make the 128gb storage it would cost less than $100. To see it cost more than $100 to make your looking right around 256gb. Author, y u writin, stuff that so kray kray? If they put this and drop other device storage extra price, I would love to. Why don't they just add a freaking micro USB slot? Oh wait this is Apple we're talking about if it doesn't make the item more profitable no matter how useful it is it's not gonna happen. so if this will come to android then you'll say that it is really needed, am i right? would you mind to leave apple alone, if you dont like them r their products let it be, as if apple wants you! Nope, for most people 16GB and a micro SD slot is more than enough. 128GB at such a steep price is highway robbery, but unfortunately most iOS users don't know better. I'd b all over a 128 gig device. I don't care who makes it. 128 gig all internal, sign me up. Please re read my comment cuz your response to my post made absolutely no sense at all dude. I just read your post again and I can't believe u left that as a response to mine LMAOOOOO what a joke man. Dude the article is an iOS article about the possibility of a 128 gig device. This isn't about ifan, it's about the p o s s i b i l i t y of such iOS device LMAOOOOO. U made another irrelevant comment lolwowwww. Please lol re read the article then read my post LMAOOOOO this is killer man I swear. You said you didn't care who made it. Well, do you or don't you. for 499.99? Seriously? Brain washed? Then your paying for a arm & a leg. Probably yes after sammy does it. Oh and what would one do with that 128? The reason why Apple never utilizes micro sd slot on their phones: so they can price discriminate you even further.